Do you know the most important keywords to your business? Do you know what keywords you should be tracking, paying attention to, and investing in over time? You may think you do, but in my seven years of experience doing SEO for companies from mom-and-pop shops and startups all the way up to Fortune 500 businesses I would be willing to bet you really don't. I would be willing to bet that you're probably on the right track, but that some slight tweaks and turns might yield tremendous results to your bottom line. That's what keyword research is all about - finding the needles in a haystack, the seismic shift keywords that have low competition, and high volume (or search traffic) that could give your business a tremendous leap in capital after investing correctly over time. Search Engine Optimization should be taken from the perspective of a long-term investor. Imagine you're Warren Buffett, and your keywords would be the industries, companies, and trends that you would invest against. Over time they might change, the markets might swing one way or another, but all the while you should be slowly investing in the growth of your portfolio. Over time the compounding impact of your website ranking for so many keywords that are each uniquely valuable to your customers will grow your business exponentially without you having to pay for the visitors actively. This is the art of SEO, and it begins with Keyword Research. So let's get started. Before we get into the actual process, it would be good for you to be familiar with the tools that we will be using throughout the process. Ahrefs which we use to pull a report of our "seed keywords" or keywords that we think people would be searching for to find our business or products. Moz which we also use similar to Ahrefs to pull a report of our seed keywords, typically used in redundancy because they will sometimes have different results and we use the average of these results to paint the most accurate picture as to what keywords are actually the best for us to target. Google Sheets or Microsoft Excel to organize the data that we pull and run formulas against to pull the most accurate information possible. These are the main tools we will be using throughout the process. They're pretty common in the industry - but that's because they're the best in the industry at what they do. We use these tools for every project and recommend them to everyone. Search Volume - the overall traffic estimation per month that searches for the keyword in question. This is a harder and harder number to come across since Google has limited this information through Google Analytics, but the tools that we outlined above still do a great job of showing a good estimate of overall search volume for each keyword. Keyword Competition - this is the estimated competition score of each search query based around multiple factors (depending on the tool you pull from) including the average link count pointing to pages ranking in the top 10 for that keyword query, the domain authority of websites ranking for that keyword query, and social shares of content ranking for that keyword query. Overall it shows on a logarithmic scale how difficult it would be for you to rank for that keyword (1-50 being not too hard, 50-70 being a bit more difficult, 70-100 being pretty difficult unless you have a really solid domain with a lot of high quality links and a social following to direct traffic towards your site). These are the main two metrics you should be concerned with. There is CPC (which stands for "cost per click") but that is primarily for using Google Adwords (sometimes referred to as PPC or "pay per click") in which case I recommend taking your SEO targeted keywords and expanding upon them for direct ad targeting. What is searcher intent, and how does it impact the Keyword Research Process? "Searcher intent" is a fancy way of saying, what does the user wish to achieve with this search query? Are they looking to make a purchase? Are they looking to reserve something? Are they looking to subscribe to something? Are they wishing to learn more about something before making a purchase? Knowing this information is very important when deciding what keywords to use, and more importantly how to use them. Certain keyword phrases lend themselves better to certain types of content, and knowing how to match up search intent to keywords can allow you to build a very powerful content calendar that will progressively get you closer to ranking well for the keywords you wish to target. Understanding searcher intent behind keywords is honestly the art form behind the manual process of performing keyword research. It's where the years of experience and understanding come into play, that you really just learn by doing the work and paying close attention to what works well, and what doesn't. My favorite story that I tell about my experience with searcher intent I believe paints a good picture of the power of understanding searcher intent and its impact on Keyword Research. I had a client that was hell-bent on ranking #1 for "boston florist" even though they had a brand new site, no reviews, and had just opened their store in the center of Boston. While performing their keyword research I decided to see the search volume of something I believed to be far more transaction-focused, "boston flower delivery" because the majority of their orders were for flower delivery - it only made sense. I was shocked when I saw that "boston flower delivery" and "boston florist" had roughly the same search volume, yet "boston flower delivery" had 30% the difficulty score that "boston florist" had, which meant it would be easier to rank for. I was able to convince the client that they should focus on "boston flower delivery" and within two months they had increased their search traffic by 100% and their organic revenue by 300%. This allowed them to have the budget to re-invest in building out their domain, buying ads on Yelp to get more local reviews (which help tremendously as a ranking signal) and eventually rank #1 for "boston florist" which they still do to this day. The intent behind the keywords matter tremendously, because some keywords might be hard to rank for and not as transaction-oriented. More often than not you will be able to get more transactions with even less search traffic by targeting more direct keywords that your competition isn't even focused on - until you have the authority built up to compete for the higher traffic and more generic terms. Make a list of "seed keywords" you believe your customers would be searching for based on your products, your industry, your unique selling proposition, and (if applicable) your location. Research elsewhere around the web to see what your potential customers, or other people are discussing around your industry on places like Quora, Reddit, Twitter, and Facebook. Try to add any terms that might make sense from the discussions you've found to your "seed keywords" list. Research your competition to see what keywords they are targeting on their website on their product pages, add these keywords to your "seed keywords" list. Pull a report of those "seed keywords" from Ahrefs & Moz where you will have the opportunity to add "suggested keywords" to your list based on the keywords that you entered and other queries that are usually tied to those keywords. After pulling this report from Ahrefs & Moz based on your "seed keywords" and adding their suggested keywords to your list you should have a list of around ~300 potential keywords depending on your business's size and scale (it can be in the thousands if you have hundreds or thousands of different types of products). Pull your list into an Excel spreadsheet or Google Sheet and manually scroll through filtering our keywords that you really just don't think fit with your brand, what you're trying to target, or if the searcher intent is wrong. Spend a good bit of time filtering simply based off of relevancy before you get into the traffic to difficulty scores. After you have filtered based on relevancy, start splitting up your keywords into keyword types. This can be done either by adding another column and filtering keywords based on their type, or creating different tabs that mirror each other and split the different keyword types among their respective tabs. Target: Keywords you wish to directly target with your product or services pages on your website, and even the homepage. Content: Keywords that you wish to target with content on your blog, ebooks, infographics, videos, or other types of content. These will usually be "long-tail keywords" that make up 4-5 words, like "how long do flowers last in a vase" or other keywords that will be somewhat relevant to your overall buyer's journey, but not directly as transaction-oriented as your "target" list. Competitive: Keywords that you might want to target with landing pages that either your competitors are targeting and you want to compete for, or keywords that you want to build pages for to directly compare yourself to your competitors (which can often be a good strategy to try to take market share from a larger competitor). An example of this would be "Dropbox vs Box: A Web Storage Comparison" which people could be searching for, and could get you some conversions every once in a while. After you have your keywords filtered out into the three different primary categories, start filtering them by search volume and difficulty score. The lower the difficulty score you get the easier it will be to rank for that term, but the higher the search volume (usually) the more visitors you will get from ranking higher for that term. If the keywords are very relevant to your business or products, and you target them properly throughout your site you will have a good chance of ranking for them over time. After keyword research there are a few tasks that we usually perform that help put all of the data into quantifiable action. Create a Keyword Gaps Chart: We create a list of the gaps in our website where we either don't have pages that target terms that we filtered through to our "Target" list, or that we do have but should be adjusted to fit the right keywords that match that page. Create a Content Calendar: We create a calendar of content production based off of our "Content" list. 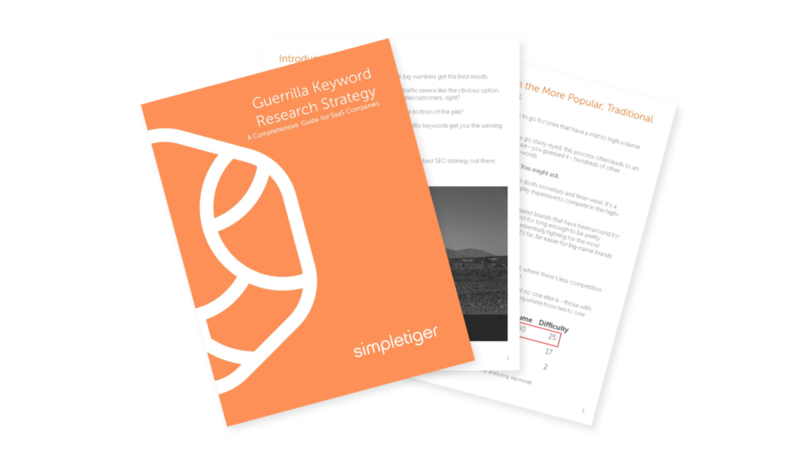 This is essentially just a production queue, of the blog posts, videos, podcasts, infographics, ebooks, or other content items that we should be producing to target all of the keywords we found in our keyword research process. Optimize the Site: This is by far and away the most important part. Update the title tags of all pages on the site to adequately target all of the keywords that you have found throughout the keyword research process, and re-work on-page content to better target those terms, as determined in the Keyword Gaps Chart. Add pages that are missing and need to be created as well. Create Competitor Pages: This is always optional, but create entirely new pages or content to immediately address the competitor keywords that you found throughout the Keyword Research Process. Track the Keywords: Set up a rank tracking software like Moz or another tracking software and track the progress of your keywords as you begin to target them actively on your site pages and content. After all of this, we typically wrap the Keyword Research phase up by moving into our Content Audit - which essentially finds the best ways to target all of the keywords based on deep research into your past content performance, the content performance across your entire industry, as well as your competitor's content performance. 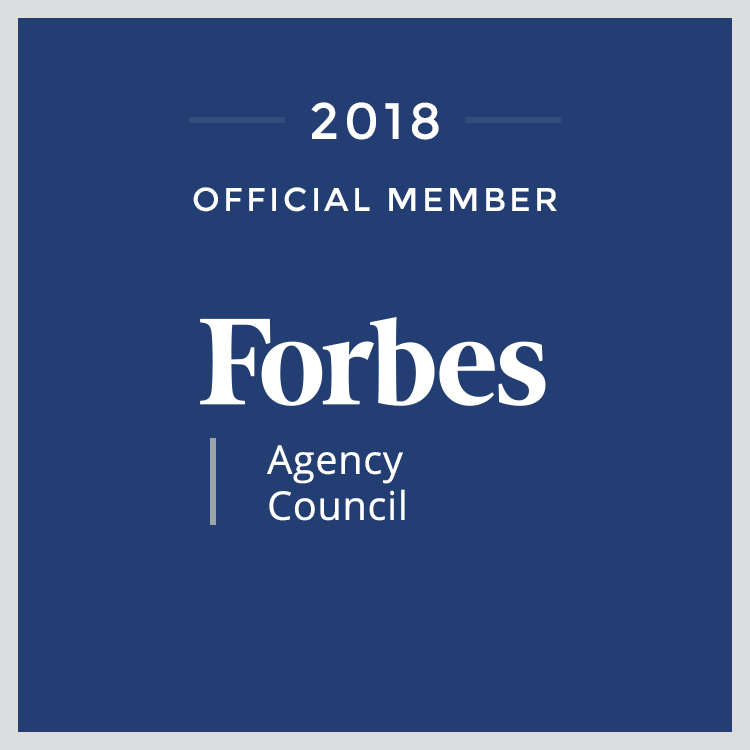 We split this into an entirely separate audit because of the breadth of information that comes from a Content Audit, and the targeting it enables you to have, down to the word count of content you need to succeed in your industry, or where to go to get the best amount of shares you possibly can so that your content can have the impact you want it to. Older PostWhy You Should Be Concerned About Google's "Rich Snippets"